Here are a few maternity swing dresses that will help you look gorgeous during your maternity. Nothing else in the world has the ability to match the elation of knowing the ‘expecting’ news. But truth to be told, being a mother equally mentally and physically draining. It is nurtured by compromise and understanding. We understand your needs while you look after the requirements of your kid. 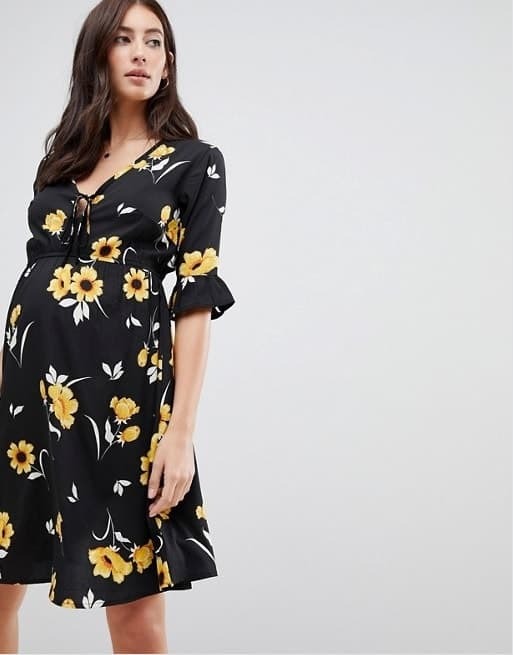 To celebrate your love for your child, and more importantly for yourself, here a list of five beautiful maternity swing dresses. Orchid orange is the new black. 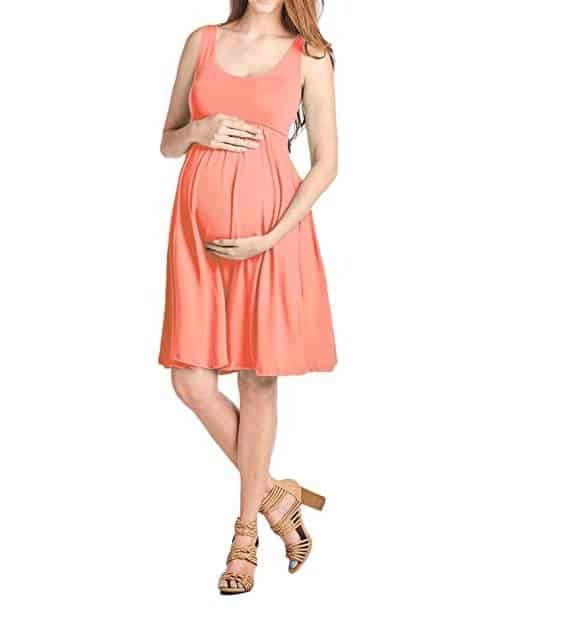 This swing dress for maternity is asymmetrical at the ends that stops right above the knee. A much preferred free fitting dress. Cotton and polyester mixed cloth, and this dress is a free fit. It comes with a turtleneck neck frame that flows down until the knees in an asymmetrical manner. It is a long-sleeved dress with no add-ons. The material is soft and silky against your skin. Ideal for: Women who are three months and above, expecting. When to use: The dress is perfect for every formal outing. Put on this dress and see how beautifully your bump shows. Flowers for hope. Flora for comfort and excitement. Black with instances of bright yellow flowers as the print, this dress is chic and convenient. The material is rayon-chiffon combination that offers you a smooth fit. It is easily washable in a machine and facile in maintenance. A V-neck with a tie, this is a really suitable black maternity swing dress-outfit with vertical nursing access. Ideal for: Women who are five months and above, expecting. When to use: During summers, whenever you are going to the park or the beach, you can pick this dress and spend a comfortable time. 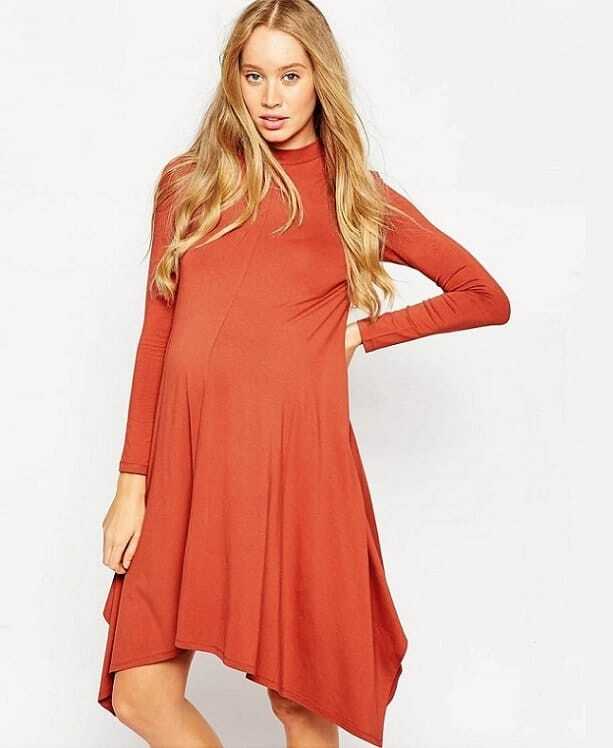 Light and creative in color, this simple but chic swing dress for maternity period is pure perfection. A rayon and spandex material, this dress offers you excellence in terms of mod con and ease. It does wrinkle very easily and maintains its vigor. Ideal for: Women who are four months and above, expecting. When to use: Again, a summer dress that will look elegant whenever you are headed to the supermarket or just a casual outing. An enchanting burgundy color sets the style to this dress. It is simple with no heavy embroidery and is variably light. The cloth used is dominantly cotton and spandex. It stretches to some comfortable extent easily but comes with a fitted top and flared skirt. It is a scoop neck fitting dress needing machine wash. It comes right above the knee and has ¾ sleeves. Ideal for: Women who are four and a half months and above, expecting. When to use: You can go with this dress for all your outings. Be it a formal dinner or a casual lunch with friends, the dress would be a perfect fit. 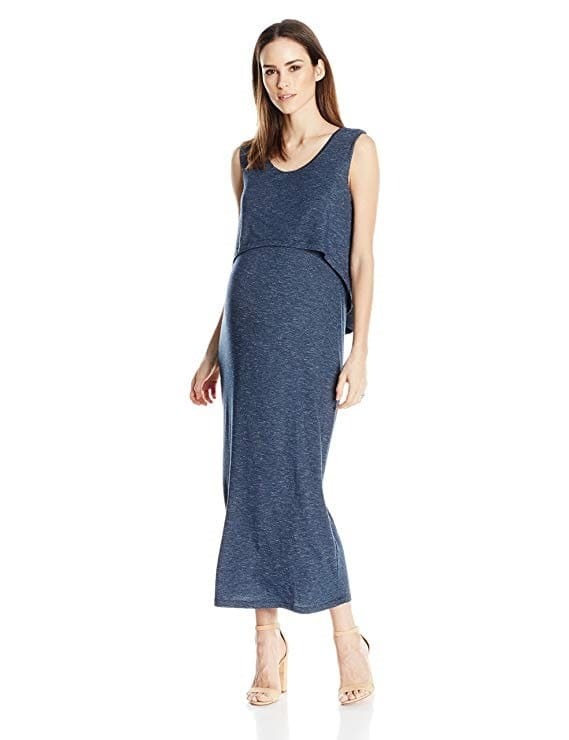 This maxi swing dress is a fashionable and comfortable option for pregnant women. The material is soft and a flattering fit. The dress is an alluring, washed out navy blue colored apparel. When to use: Whenever you are going for a small get together with friends or family, you can easily pull off this maternity swing dress.